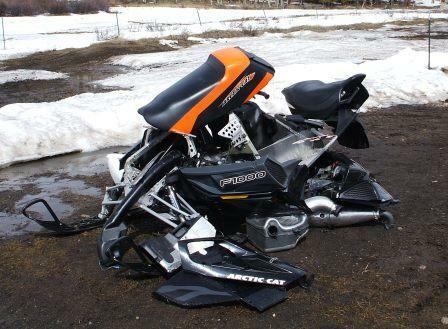 Magic hit the midsection of Minnesota over the weekend. 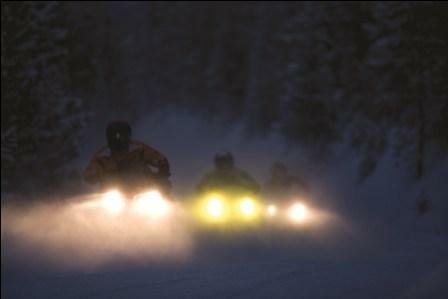 Eight to 12 inches of snow, accumulating at a rate of one-inch-per-hour during the day. 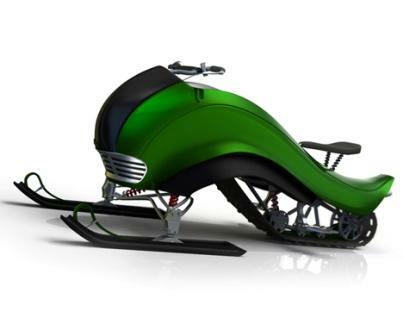 Do You Ride Like This? Click to read a few questions I have. 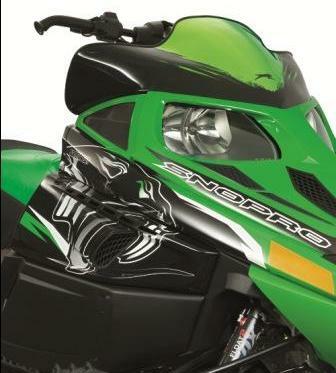 Here are four products that Arctic Cat is promoting this month. If anyone has tried the FOX FLOAT Conversion Kit for the rear suspension, let me know. I'd like to get your thoughts on it for a review. If anyone happened to capture THIS MOMENT on video, please post it. I want a good laugh at his expense. 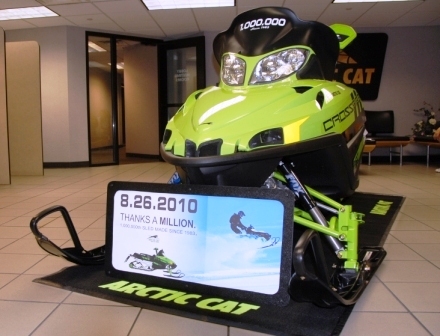 Last week I spent a day shooting photos of Tom Rowland's amazing collection of Arctic Cats at his dealership, Thomas Sno Sports. I also managed to capture this video of Tom practicing for the upcoming AMA Supercross season on his ultra-rare 1966 Arctic Cat Cub minibike/all-terrain cycle. 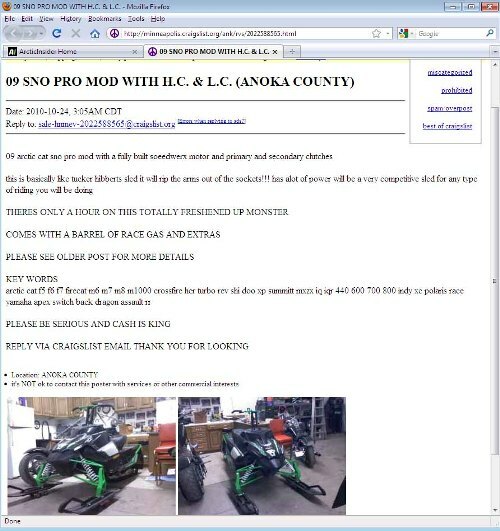 I’ve gotten a chance to use a couple new Arctic Cat products during the past month and thought I’d share a couple observations in case you’re interested in this stuff. 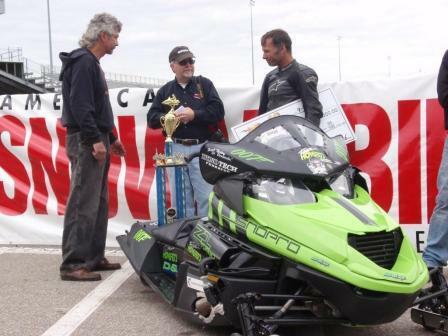 Check out this really cool story in the forum from Tom Rowland, who was very involved with the purchase and transport of the old Team Arctic Race Trailer to the Snowmobile Hall of Fame in St. Germain, Wis. This is a conversation that I overheard recently. Word. 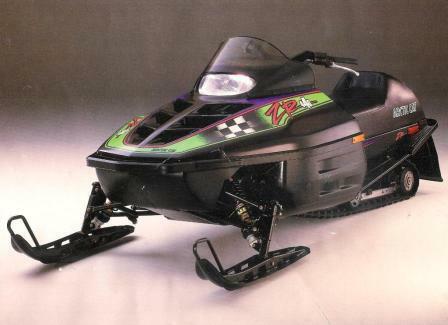 Here's Part II of the two-part story on recent-era Arctic Cat sleds that I believe will be collectible at some point in the future. 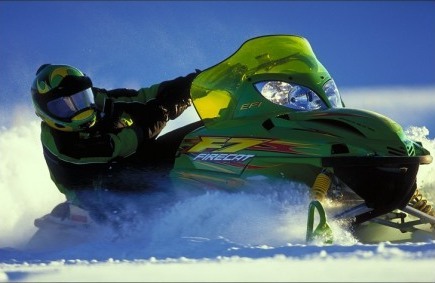 Great interview with Mike Kloety, Team Arctic Race Manager, HERE at sledRacer. 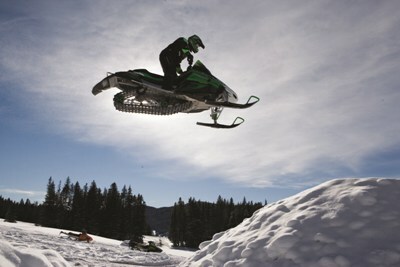 Because this sled is basically like Tucker Hibbert's, it WILL destroy your arms. Click for the full viewing and warning. 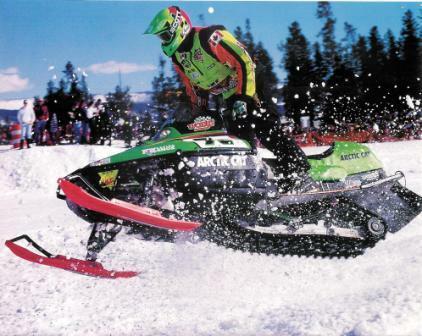 There's a nice video interview with former Team Arctic snocross legend, Blair Morgan.